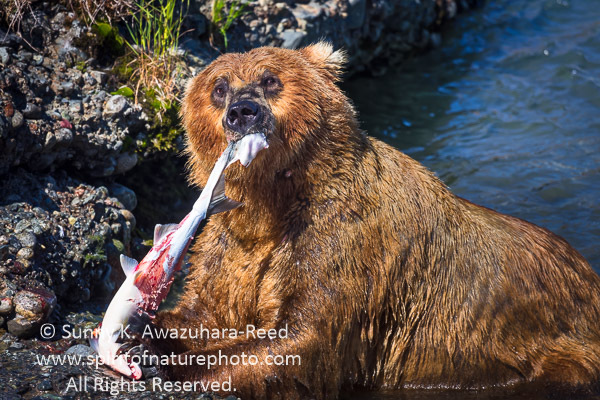 Photographing bears in their natural environment has been my passion since early in my career. 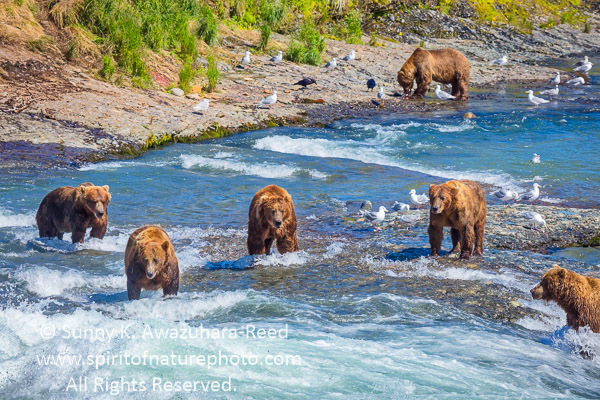 I have visited some prime bear viewing areas before, but Alaska's McNeil River is truly outstanding! 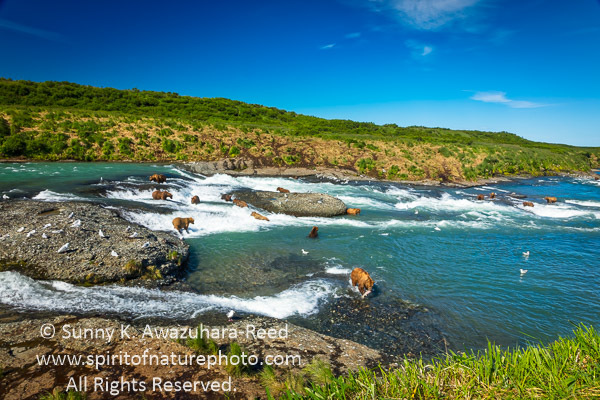 The McNeil River Sanctuary is located in the remote wilderness on the Alaska Peninsula along the Aleutian Mountains just north of Katmai National Park & Preserve. 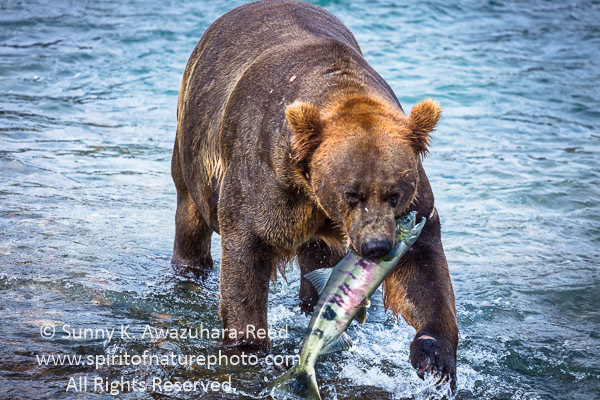 McNeil River Sanctuary contains the highest concentration of brown bears (grizzlies) in the world during the peak season of the Chum Salmon run in early July through mid-August. 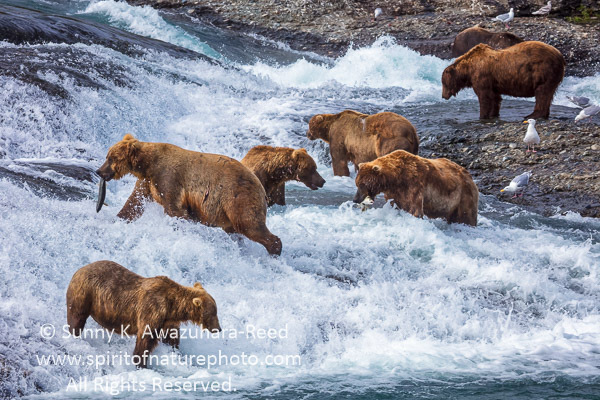 As many as 80 bears congregate at the river. The area was designated as a wildlife sanctuary in 1967 and enlarged to a preserve in 1993. The sanctuary allows only 10 visitors per day for a four-day period with permits scarce and at a premium during the peak season. I arrived at the McNeil Sanctuary in late July by seaplane. The area is truly remote where access is permitted by seaplane or boat and is without road access. 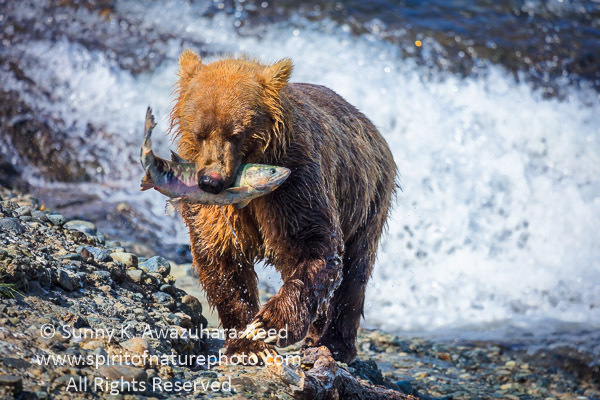 The closest town is Homer on the Kenai peninsula, 100 air miles across Cook Inlet. As the flight approached the lagoon at McNeil River, I could spot a number of bears from the air. McNeil Falls, the bear viewing spot, is about a 2 mile hike from the camp. An armed naturalist from the Alaska Fish and Game, led us to the falls. We were not allowed to leave the camp by ourselves. We were instructed to walk close together so that bears think we were one big animal instead of individual humans. Crossing the river mouth at the lagoon and waiting for bears to pass by, the 2 mile hike took us 2-4 hours. Approaching the McNeil Falls for the first time, I was amazed that two dozen large bears were standing in a tight spot! Bear activity was everywhere! 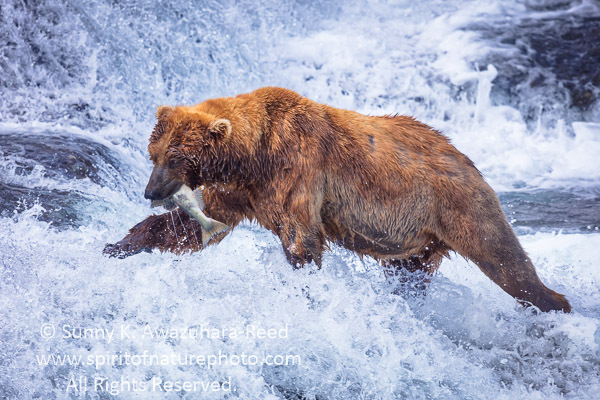 As large numbers of salmon continuously came up the river, bears energetically fish. Visitors are divided into two groups and sit closely together on the two gravel viewing pads. Bears often walk by within several feet of us. A large bear, the size of a small van it seemed, walked right in front of us and it was really intense, but no one has been injured or been killed since the bear viewing program in McNeil River began. Following strict rules, humans and bears have been coexisting in McNeil for over 50 years. After a successful catch and quick devouring, it is back to fishing again. My problem was figuring out which bear to photograph. Fights can break off at any moment. 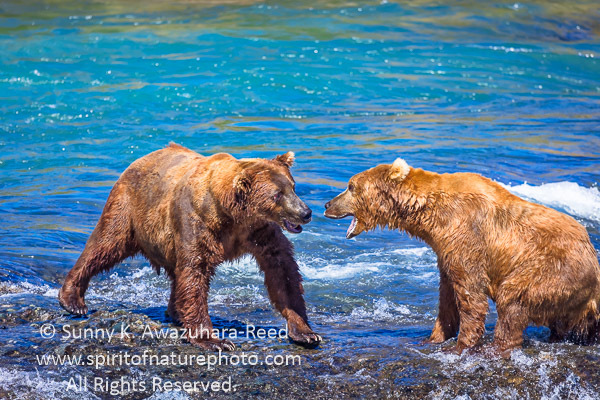 Tensions among the bears was high. McNeil Falls is dominated by large males whereas sows with cubs hang out at the river mouth and lagoon area. 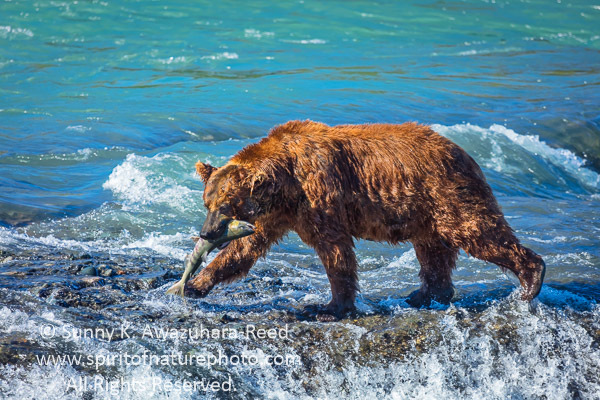 While the mother bear fishes in the lagoon, cubs play at the shore, sometimes not so far from us. 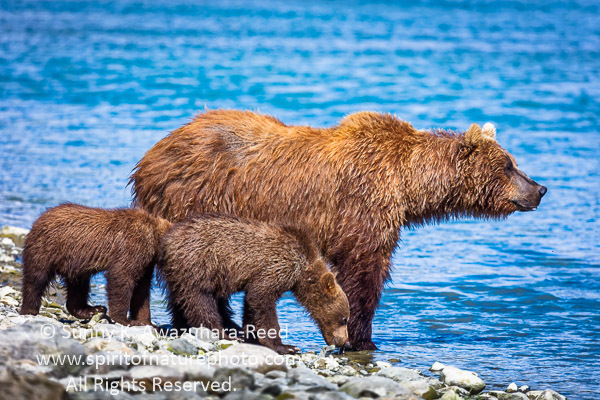 We often stopped by the lagoon and had to wait for a bear family to pass by. Capturing the cubs playing with each other was one of the best parts of this trip. During an intense 4 days at McNeil Falls, I shot several thousand photos... it took me a month to go through all of them, made some selections, deleted a bunch, and finally the post processing began. It'll take at least a few months to complete the entire work... 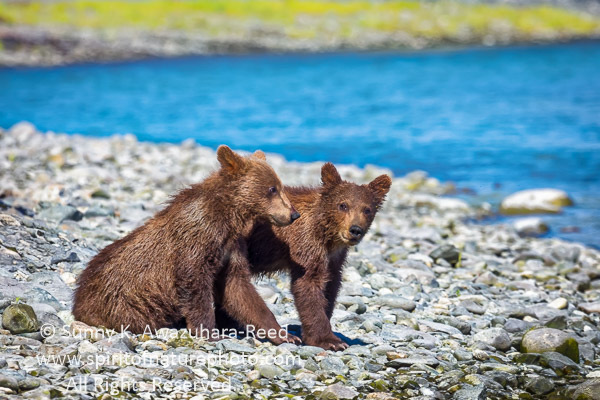 I will slowly update my blog with new bear images.